A very distinct vintage - the dry, warm Spring and Summer meant it was tracking early but a tropical rain event in January saw 50-70mm fall across the region which pushed back harvest dates slightly – the reds very much appreciated this rainfall. Just following Easter, late March (29th) saw the tail end of a weak tropical system move through which saw approx. 12mm of rain as it moved through to the South-East. Most reds were picked by this date with the rain being a great little freshener. Overall, the reds, look exceptional with higher yields than in 2015 meaning better vine balance and rate of ripening. The fruit from each vineyard block was tasted every 3 days to monitor flavour development to ensure each parcel of fruit was picked at its optimum. Each parcel was picked separately during the coolest part of the night to ensure the fruit reached the winery at the coolest temperature possible. The fruit was cold soaked which helped produce a fruit driven, aromatic wine with a lush, soft texture.The ferment was conducted at 22-26°C to further encourage aromatic retention and to maximise colour intensity by controlling the rate of fermentation. During fermentation, each batch was thoroughly aerated with the grape seeds being removed from the ferment. This process helped produced a fine, softly textured wine style. Once each ferment reached 0-2 Baume, it was pressed off skins to separate tanks to complete fermentation. The pressings were returned into the free-run to provide structure and body to the end wine. Once dry, a select batch of wine that represented ~30% of the final blend, was racked separately off lees to 100% old (2-5yr) French oak barriques and hogsheads to mature for 9 months. Following blending, the wine was lightly fined using fresh, local free-range egg whites and filtered once prior to bottling. Deep crimson with vivid purple hues. 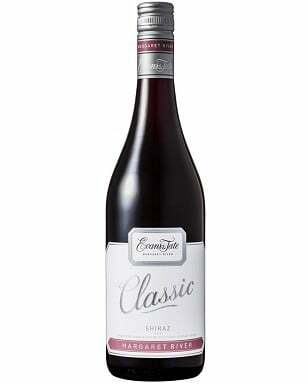 The wine exhibits ripe cassis, red plums and salted liquorice aromas. High notes of cedary oak and violet add further complexity and frame this wines underlying graphite like minerality. The palate unfolds in a myriad of layers of red fruit with dark chocolate nuances further enhanced by subtle sweet oak characters. 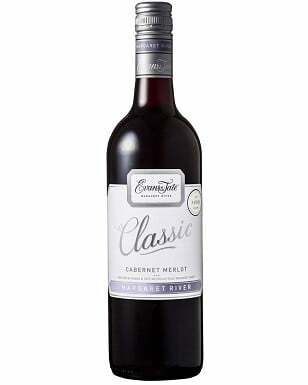 The long and flavoursome finish is well supported by powder-fine juicy tannins. This finely structured Margaret River wine will continue to improve over the next 5–7 years. Food pairings: Lamb with garlic mash.